Tired of VLC? Want a good vlc alternative? Try 5KPlayer – The new style video player giving you a new way to enjoy yourself. You don’t have to use VLC to play all your videos files, try something new today. You also don’t have to conform to popular belief that VLC is the best video player in the market and that whenever you have a video file to play on your computer (Windows/Mac) you must use VLC but right now I’m telling you to give 5KPlayer a test because it’s one of the best VLC alternatives on Mac and Windows. I personally use VLC but I have noticed some crashes when VLC doesn’t have the codes of a video file, the app just crashes mostly HEVC codes or video files, I can’t seem to play it well with VLC, once I start playing it then skip forward or move backwards VLC crashes but I tried that same video file on 5KPlayer and it worked so I decided to do a full review of this free video player as one of the best VLC alternatives for Mac and window users. Check out VLC VS. 5KPlayer. What makes 5KPlayer Different from Other Players? 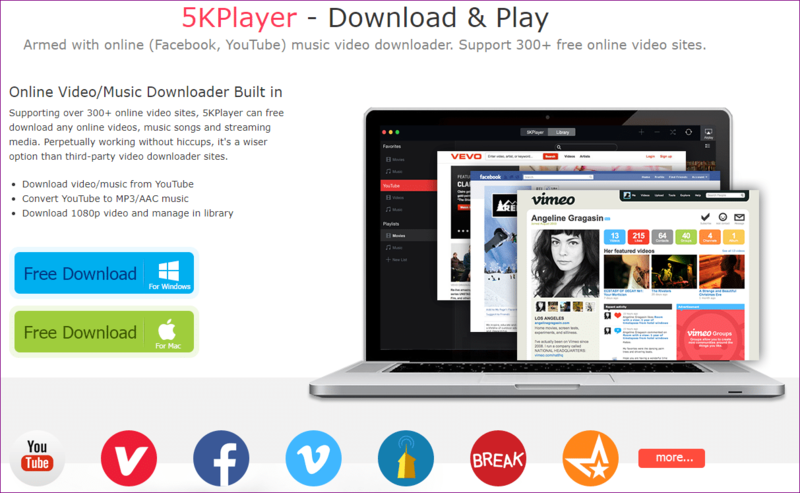 5KPlayer is a free video player, music player, DLNA server, AirPlay-enabled media streamer and online video downloader. 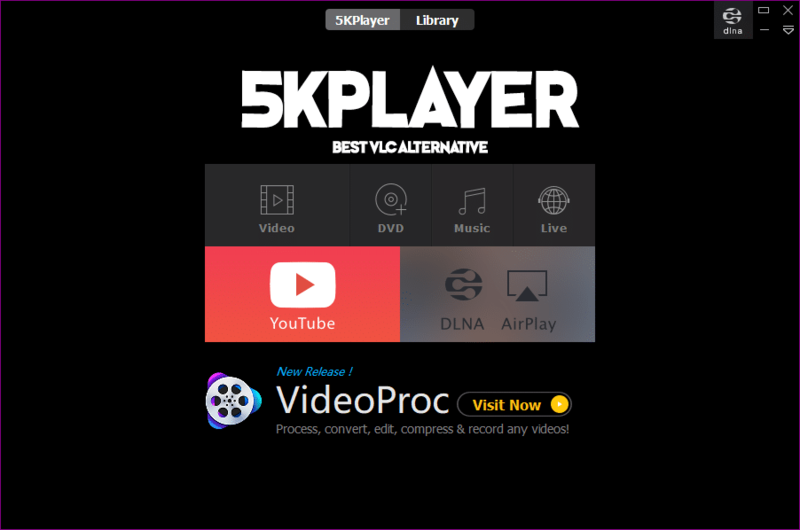 5KPlayer is also one of the best VLC alternatives we have right now. 5KPLayer supports over 300+ online websites like YouTube, Dailymotion, Facebook where you can choose to download videos or audio for free. You can also download audio files from YouTube using the YouTube to MP3 direct option. 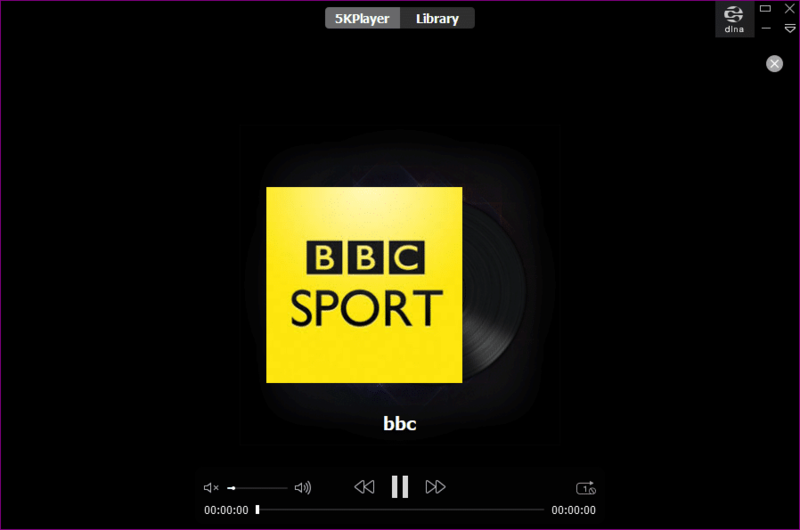 5KPlayer has an inbuilt radio player: 5KPlayer can receive satellite radio signals which enables you to listen to the radio from BBC, Heart, Capital, Gold, LBC, XFM, Chill, Kiss, Kisstory, Magic, Kerrang, Planet Rock, Absolute Radio and Classic Roc, etc. 5KPlayer is region free. You can enjoy any video or audio files and not worry about it not be accessible in your country. It enables you to play multi-region DVDs or CD, no matter the country or region. 5K Player is powered by NVIDIA®, Intel®, DXVA 2.0 Hardware-acceleration which makes your computer run smoothly when playing large file 4K/UHD videos or HEVC encoded videos. Check out these powerful/unique selling points 5KPlayer has over the competition which is the multi-screen playback feature and 5Kplayer is free for everybody to use. All you need to do is just download 5Kplayer and you are giving all access to all features and functions available in 5Kplayer. 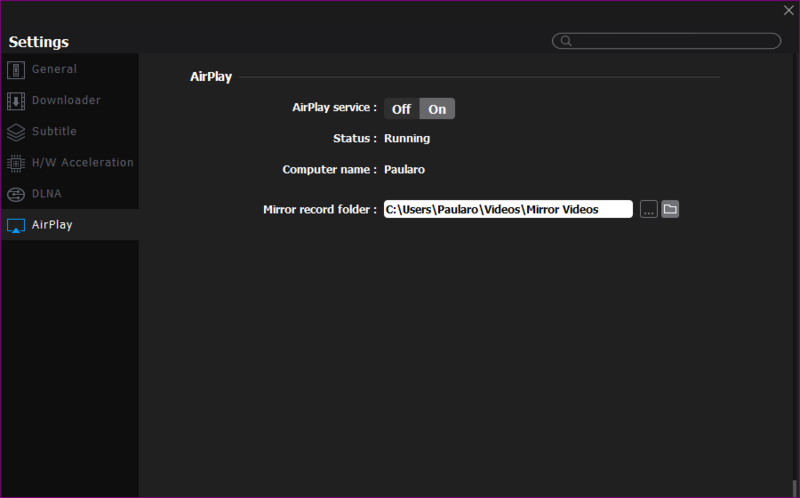 5KPlayer can turn your computer (Windows or Mac) to an entertainment centre where you can share or receive media files from other devices making life easier and more convenient for you. 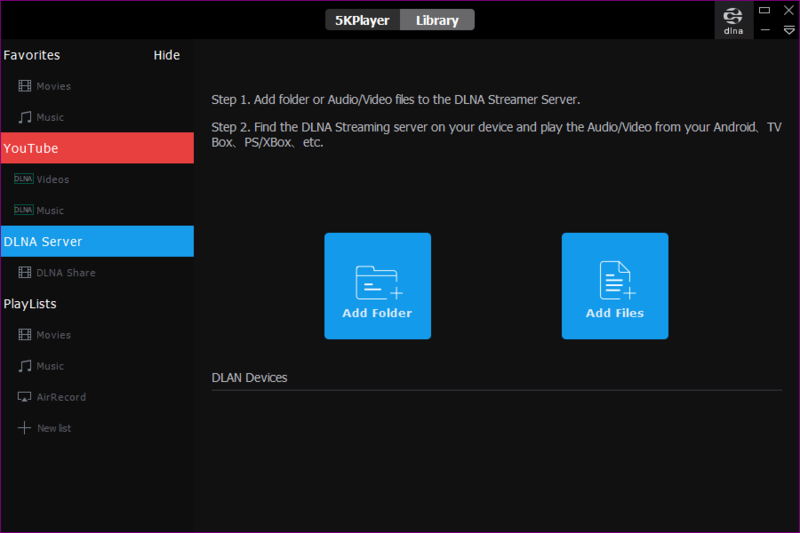 In more understandable terms; It means you can stream videos, music and pictures on your TV over the network through a media server while your smartphone acts as a remote and all this is done through DLNA Media Streaming. 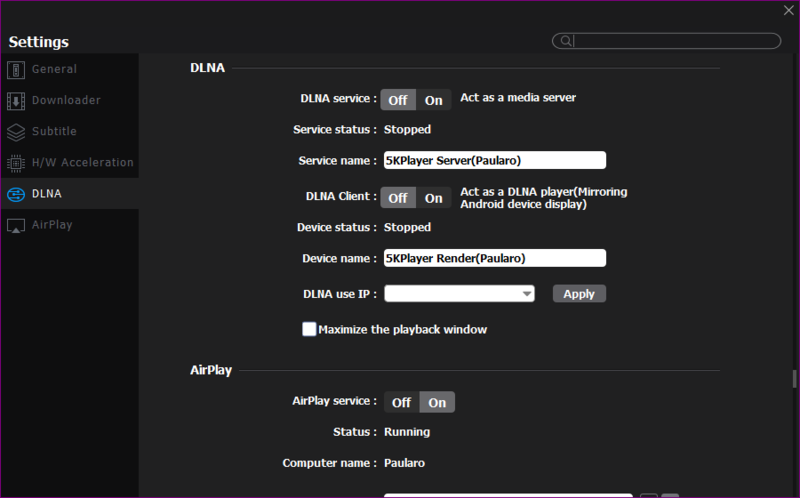 DLNA Server: Enables media sharing with another DLNA-compatible device to access and play media but the device should be in 5KPlayer’s DLNA Share List. 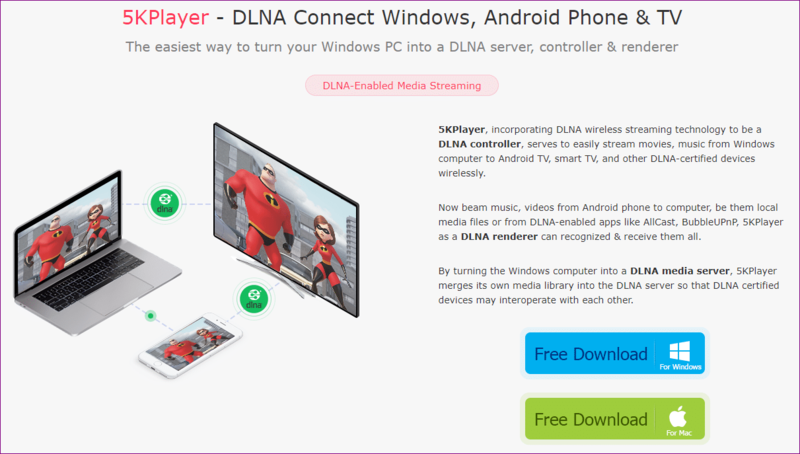 DLNA Player: This allows you to receive and play media files like videos, music and pictures on your computer which are beamed or sent from an Android device or other DLNA servers. This AirPlay is an innovative feature because it unlocks serious potential and connects both Windows and Mac together bridging the gap in those scenarios where you need both Windows and Mac to work together. So what does 5KPlayer’s mirroring feature do? 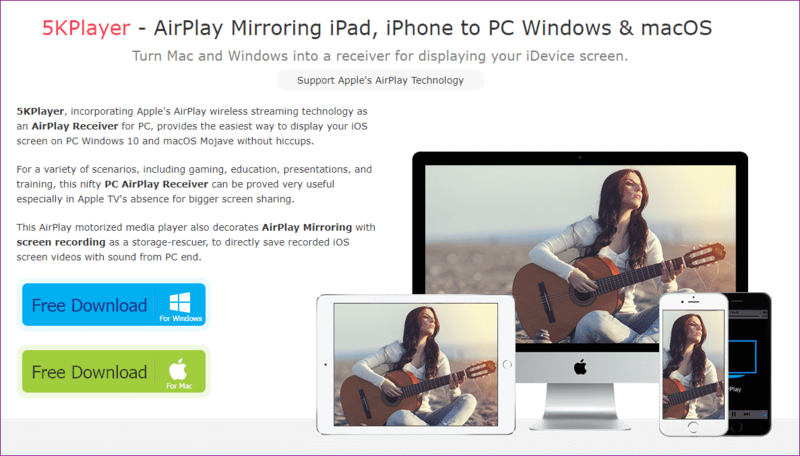 You can mirror your iPhone or iPad to your Mac or Windows computer. You can mirror your Windows screen to another Windows computer. 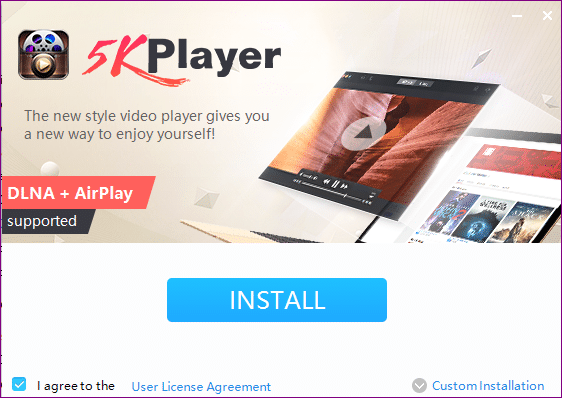 All these innovative features can be accessed totally free because 5KPlayer is 100% free just like VLC media player which I personally think qualifies it to be one of the best VLC alternatives today. Step 1: Download 5KPlayer (39MB) and Install it. Step 3: What do you want to do with 5KPlayer? Choose what you want to use 5KPlayer for. 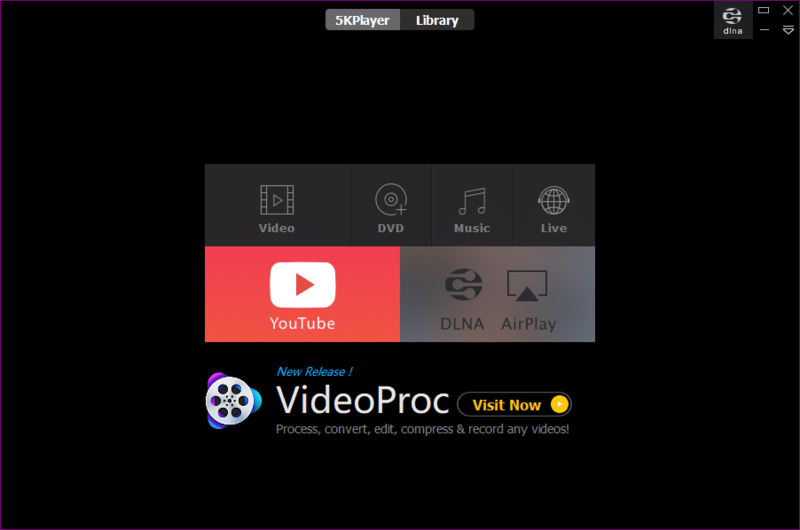 To watch a video, listen to Music, stream live radio, download a youtube video, Use the DLNA or AirPlay feature to mirror your laptop screen or play a DVD. If you select Video, DVD or music feature. Browse to the video you want to watch or music you want to listen to. 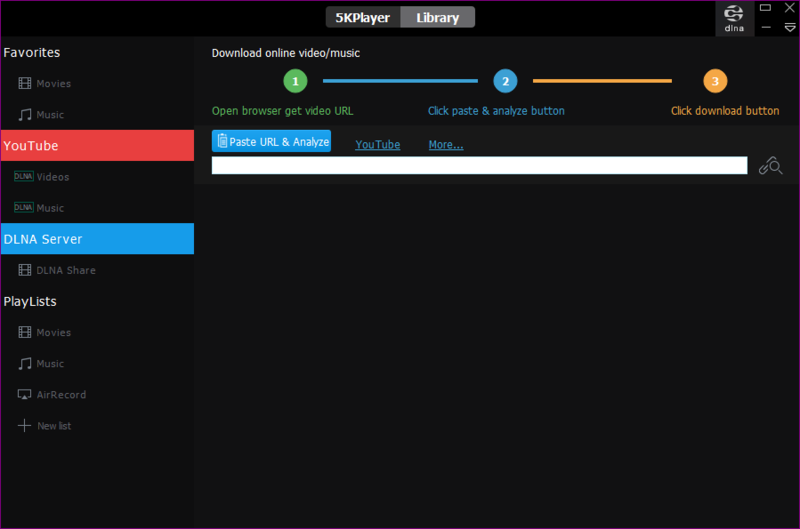 5KPlayer supports all the popular video and audio formats so you don’t have to worry when you want to watch a video or listen to an audio file. You can download Youtube videos with 5KPlayer. Just click on Youtube icon. Download now button to start downloading the Youtube video. Clicking on those options would take you there respective settings page where you need to insert server details, client details and you can choose to toggle the service ON or OFF. 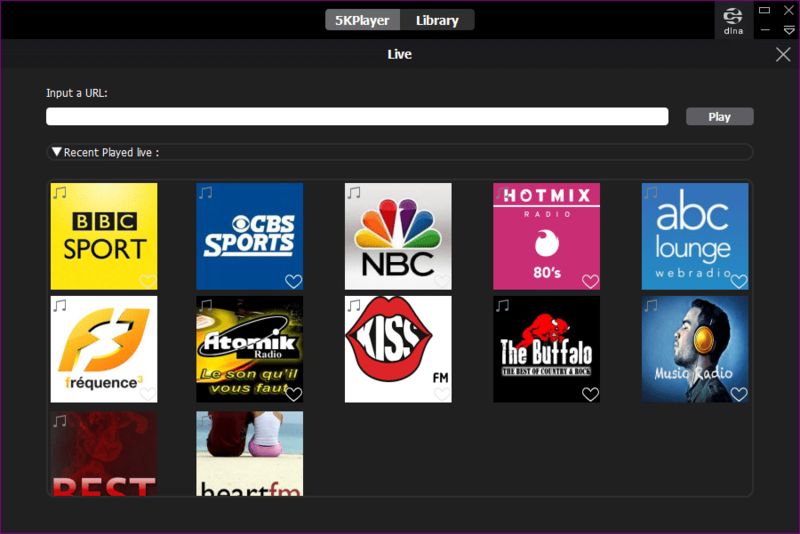 You can also listen to LIVE radio with 5K Player. You have the options to listen to 12 LIVE radio stations or you can insert a LIVE radio URL into the box. Step 8: Congratulations, you are now a 5KPlayer Certified Expert.